Which Drugs Were the Biggest Hits Last Year? What makes a drug a success? Is it a great ad campaign, or promotions from doctors? Does the drug address a much-needed area of medicine, or treat a disease in an exceptional way with few side effects? Regardless of what makes a drug take off, the way to measure its overall success is hard to repute: sales. Drug maker: Merck & Co.
1 Also sold by Roche under the brand Neulastim. Roche did not disclose sales figures on Neulastim for 2012 or 2011. 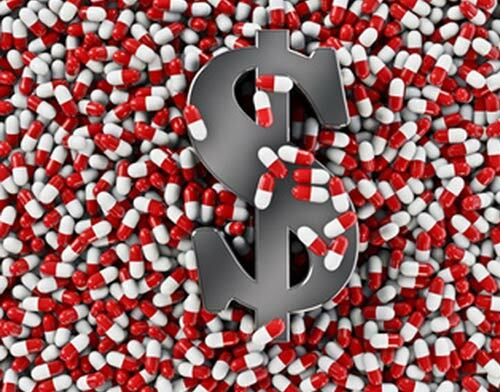 2 Global sales are the sum of sales recorded by Sanofi and Bristol-Myers Squibb (BMS). Sanofi sales figures converted to USD via XE (www.xe.com) on February 11, 2013. 3 Sales figures converted to USD via XE (www.xe.com) on February 11, 2013. Q4 figures not reported for each drug by Roche, but derived by subtracting January-September sales, which are reported by the company in its third-quarter results, from full-year sales. As a result, year-over-year comparisons for Q4 sales are as reported, not at CER. 4 Sales figures converted to USD via XE (www.xe.com) on February 11, 2013. Q4 figures not reported for each drug by Roche, but calculated by subtracting January-September sales, which are reported by the company in its third-quarter results, from full-year sales. As a result, year-over-year comparisons for Q4 sales are as reported, not at CER. 5 Sales figures converted to USD via www.xe.com on Februrary 11, 2013. 6 Sales figures converted to USD via XE (www.xe.com) on February 11, 2013. Q4 figures not reported for each drug by Roche, but derived by subtracting January-September sales, which are reported by the company in its third-quarter results, from full-year sales. 7 Sales figures converted to USD via XE (www.xe.com) on February 11, 2013. 8 Pfizer does not furnish individual sales figures for Enbrel in the U.S. or Canada, but combines them in a category called “Alliance revenues” which also includes sales of Aricept, Exforge, Rebif, and Spiriva. 9 Company spun out January 2, 2013, from Abbott Laboratories, whose portfolio included Humira during 2011 and 2012.